Firefighter recalls escaping a house fire. 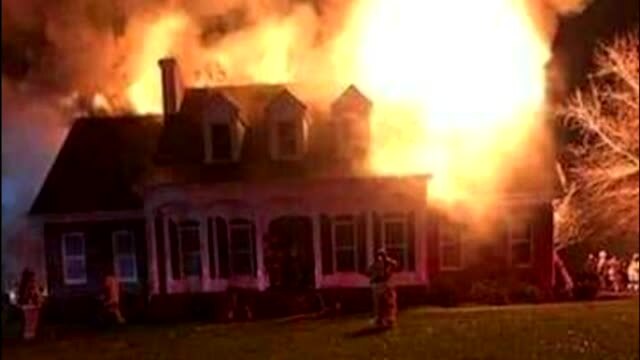 NASHVILLE, Tenn. (WTVF) — A Maury County division fire chief credits his training for being able to narrowly escape a house fire after the garage collapsed on top of him. 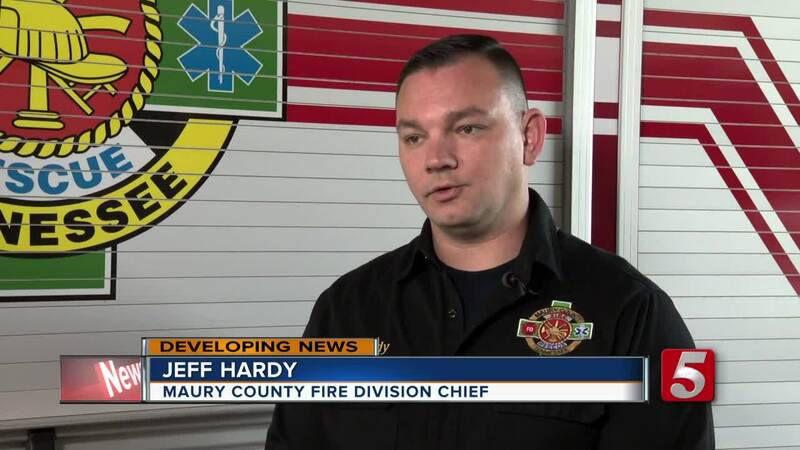 Jeff Hardy responded to a house fire call in the 2200 block of Tindell Lane in Columbia as he was and on his way to a work banquet with his wife Friday night. The team moved to the second floor with a hose but had to evacuate as the flames got bigger. A picture from the scene showed him by the garage door the moment a lieutenant yelled for him to run out quickly. However, the incident took an even more dangerous turn when the garage collapsed. "As I started to run that's when the ceiling and rafters came down on top of me," recalled Hardy. "The garage door fell in front of me and I ran into it and as I ran into the garage, I kept pushing forward trying to get out of the residence." Hardy said he never panicked but knew he had to remain calm because of his training, much like what he teaches other firefighters on a regular basis. With the inferno spreading so quickly, it could have been a worse situation if Lieutenant Chuck Estes did not step in swiftly. "He saw an opening to my left and was able to reach in, grab my arm and guide me out from underneath all the rubble," said Hardy. Despite what happened, Hardy was not hurt and even helped to put out the fire. He said if he or Estes would have hesitated, it might have been different outcome. It is a reminder that firefighters like him put their lives on the line when they battle a fire. "This is a dangerous job and it takes dedicated people to do this type of career," added Hardy.